The following article highlights the recent work of the Climate and Human Development research group at UNM, specifically the contributions of MS student Anthony Meluso and assistant professor Dr. Benjamin Warner as they collaborated with local stakeholders in Mexicali Valley in Baja California. Meluso's work was partially supported by a Field Research Grant from the Latin American and Iberian Institute (LAII) in 2018 and Dr. Warner is a faculty affiliate of the LAII. The article was originally published by the Department of Geography and Environmental Studies under the title of "GES in Mexicali." We're pleased to reprint it here to highlight their accomplishments. Recently, the Climate and Human Development research group at the UNM Department of Geography and Environmental Studies (GES) began working in the Mexicali Valley in Baja California, MX. 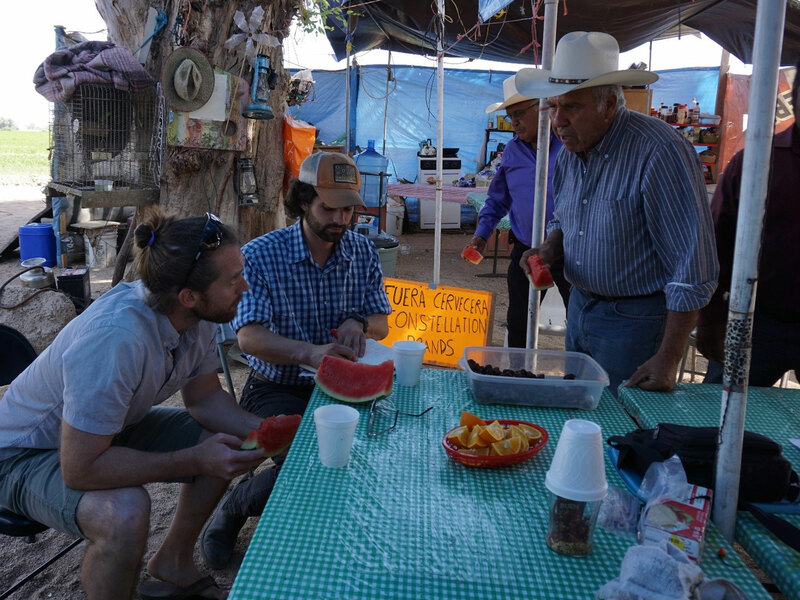 Dr. Benjamin P. Warner and graduate student Anthony Meluso began preliminary work in the area in 2017 to better understand the impetus for the public outcry among area farmers after a new industrial brewery announced plans to open just outside of Mexicali. Throughout the summer of 2018, the team conducted fieldwork in the valley to better understand the process through which water—originally allocated to traditional farmers, or ejidatarios—was (re)allocated to industry. Meluso worked throughout the summer to document farmers’ perspectives on the reallocation of water. He relied on photography as part of this documentation, and the pictures presented here were taken as part of this effort. The team is currently analyzing the field data and working with local stakeholders to document this reallocation and determine what it means for the ejidatario way of life in Northern Mexico. Above and below are photos from their time in the field. The header photo above shows Dr. Ben Warner and graduate student Anthony Meluso of UNM’s Geography and Environmental Studies Department listening as farmers passionately describe their struggles with the Constellation Brands Brewery. Warner and Meluso seek to describe the historical policies providing the fuel for this conflict as well as what is uniquely inspiring about Constellation Brands in a landscape where international factories have been operating for 20 years. 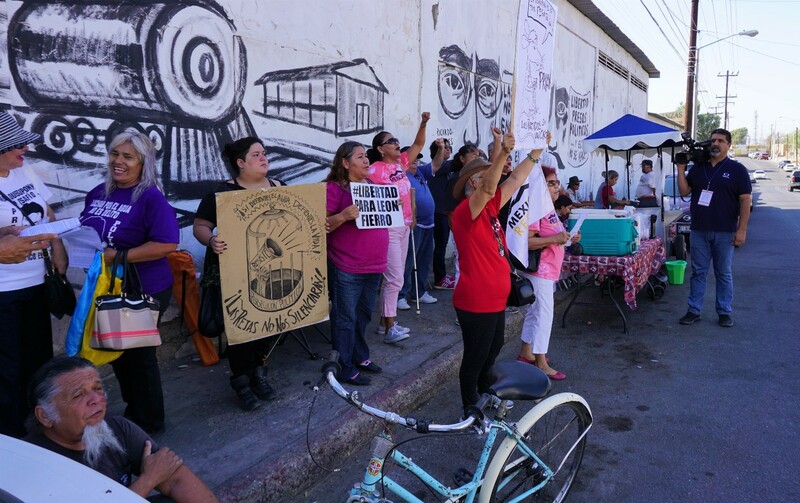 Activists from several rural and urban organizations called for the release of Leon Fierro, a leader of Mexicali Resiste, who they claimed was being held as a political prisoner. Fierro was released after his trial that day. Five activist group leaders protesting Constellation Brands have been held, and then acquitted, in trials that many see as politically motivated. Ejido community leaders meet over ceviche and fried pufferfish to discuss political strategies for the July 2018 Mexican elections. The group originally formed in order to resist the construction of the Constellation Brands Brewery in 2017. Cranes hang aging tanks at the Constellation Brands Brewery. 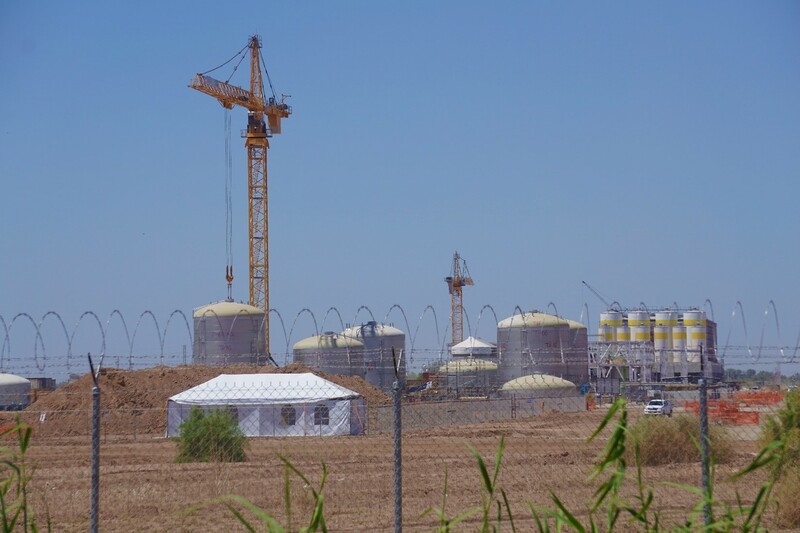 Upon completion in 2020, the brewery would be the largest in Mexico. 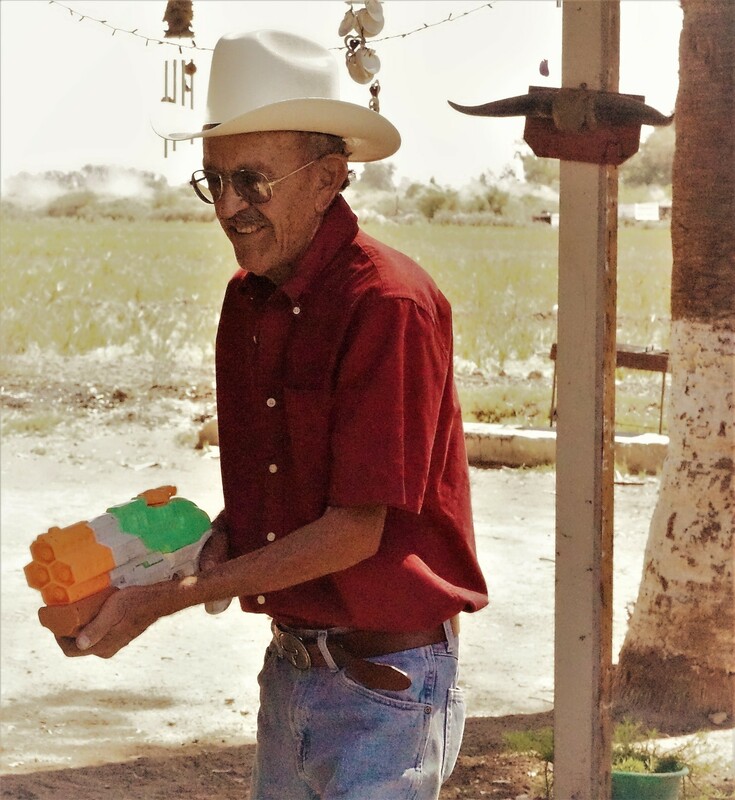 Mexicali Valley Farmer brandishes his squirt gun at an interview with a Netflix Documentary crew. A violent protest between activists and police at his farm garnered international attention. Protesters attempted to prevent the construction of a pipeline bringing water to the Constellation Brands brewery in January 2018.